Friday, Oct. 3, from 4 to 9 p.m.
Saturday and Sunday, Oct. 4-5, from 11 a.m. to 9 p.m.
Friday, Oct. 10, from 4 to 9 p.m.
Saturday and Sunday, Oct. 11-12, from 11 a.m. to 9 p.m. Admission is $5 (free for children 12 and under). All bowls of ramen are $8. The best ramen shops from Japan and the U.S. will be at the first-ever Ramen Yokocho in San Jose. There will be 18 dishes with unique broths, noodles and toppings. 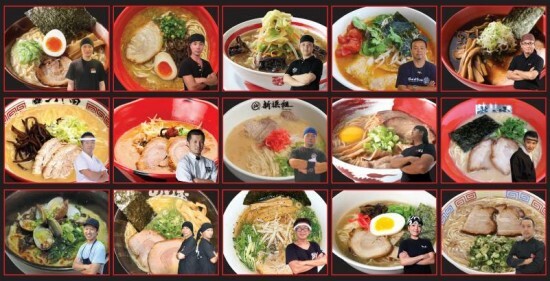 It will be an epic ramen experience. For more information, visit www.ramenyokochous.com. For VIP tickets, click here.